The Twin Cities have long been known as a theater market second only to New York City. In that spirit, over the years the Black Guard of Minneapolis produced some legendary shows for their annual Black Frost run. One year they mounted a complete production of When Pigs Fly, Howard Crabtree’s off-Broadway musical. The show was presented at the Mall of America and, if I remember correctly, the Black Guard production even used some of the original wigs and costumes created by Crabtree. 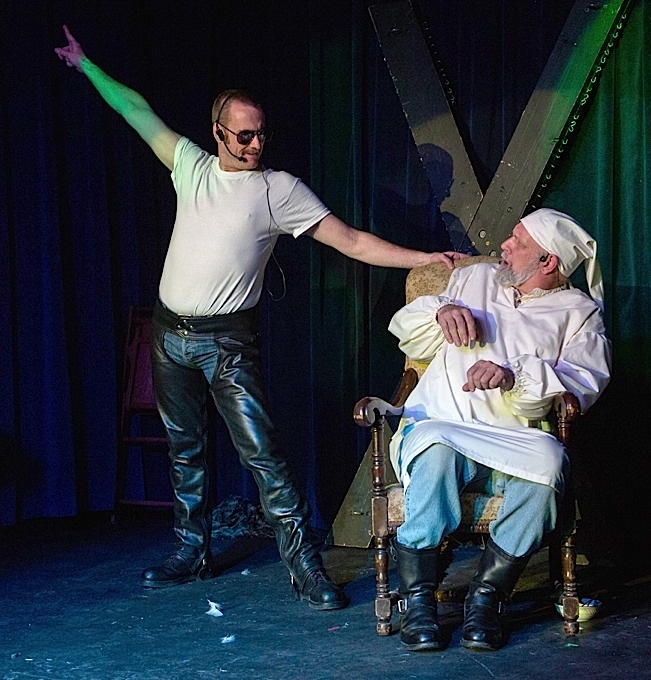 Recently the Twin Cities leather community again has been the beneficiary of the theatrical and entertainment talents of some of its members. 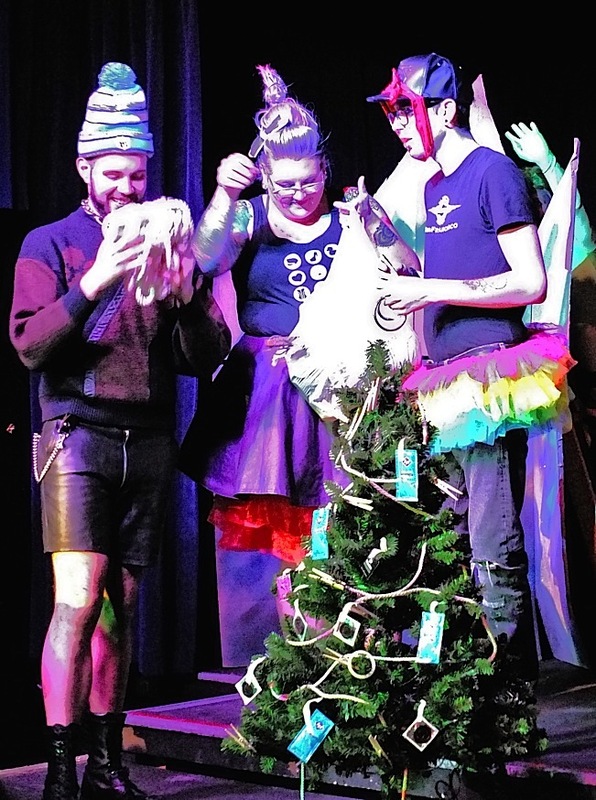 Last April’s Minnesota Leather Pride contest weekend at The Saloon introduced the community to a new concept: a leather contest presented on a stage — with actual curtains! — and with the audience seated in rows of chairs in front of the stage. 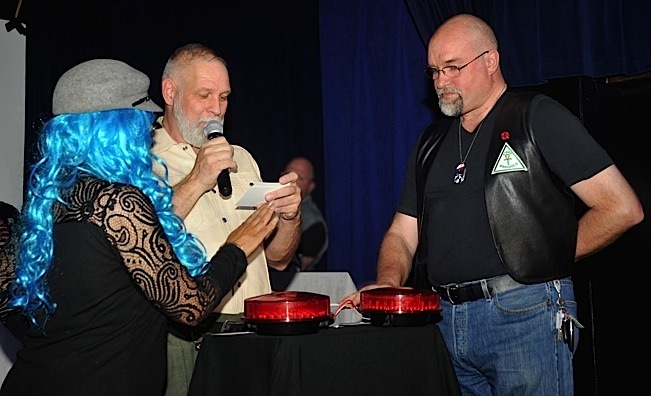 A leather contest with a seated audience has, both for the audience and the contestants, a feel that is quite different from a contest in which the audience is milling about the bar. The afternoon was modeled on Family Feud, the popular game show. 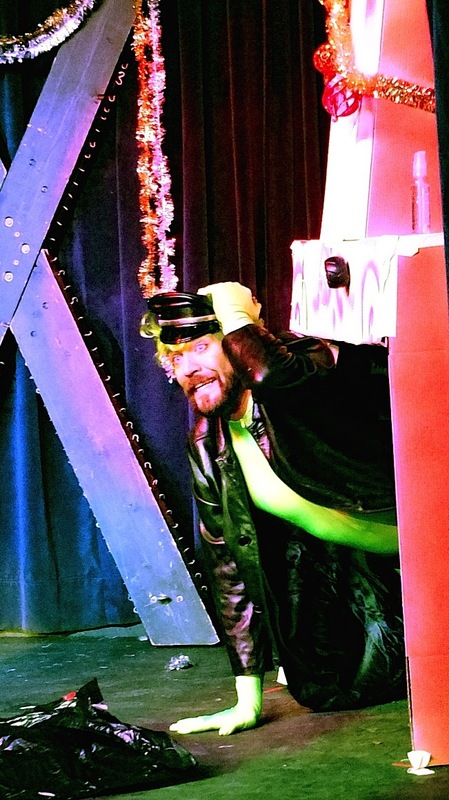 Local theatrical actor and director David Coral was again the master of ceremonies, leading a number of five-member “leather family” teams (and a good-sized audience) through a tournament-style afternoon of fun and fundraising. Other community members with theatrical experience handled staging and props, lights, sound, audiovisual effects, and scoring. The winning team of the afternoon was Dilligaf (that’s an acronym), who chose Youth Link as the charity for whom they were playing. The second-place team of the afternoon was the Atons of Minneapolis (of which team your humble columnist was a member), playing to benefit The Aliveness Project. Minnesota Leather Pride, the producers of the event, also were a beneficiary. 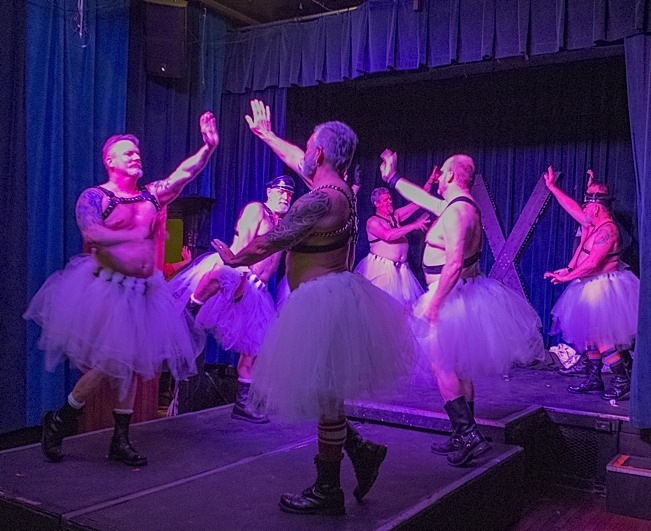 In Act Three, members of the Atons donned harnesses, boots, jocks, and filmy white tutus and made appropriate ballet-like moves to “The Waltz of the Flowers” from Tchaikovsky’s Nutcracker. Then the music changed to a thumping electronic version of “The Waltz of the Flowers,” and the dancers’ moves became a cross between Broadway jazz dance and country-and-western line dancing. The crowd loved it. Shared theatrical events, like those described above, adapt ideas from mainstream culture — a game show, a story by Dickens or Dr. Seuss, or music by Tchaikovsky — by re-envisioning them through our community’s cultural lens. This kind of community theater is important because it is one of the ways in which a community’s culture is created, developed, shared, and strengthened. Hats off to all the theater folks who share that experience with the rest of the community — and who also help the non-theater folks on the stage look good. See photos of Leather Families Feuding for Charity and the Atons Holiday Extravagasm at www.lavendermagazine.com. L. Russell Waisanen was named Mr. Minneapolis Eagle 2016 on Saturday evening, Nov. 21, 2015. See more about the Mr. Minneapolis Eagle weekend at www.lavendermagazine.com (search for “Waisanen”). Two contestants race to see who can hit the buzzer first. Photo by Minnesota Leather Pride/Chuck Bevolo. Atons team finished in second place. Photo by Minnesota Leather Pride/Chuck Bevolo. 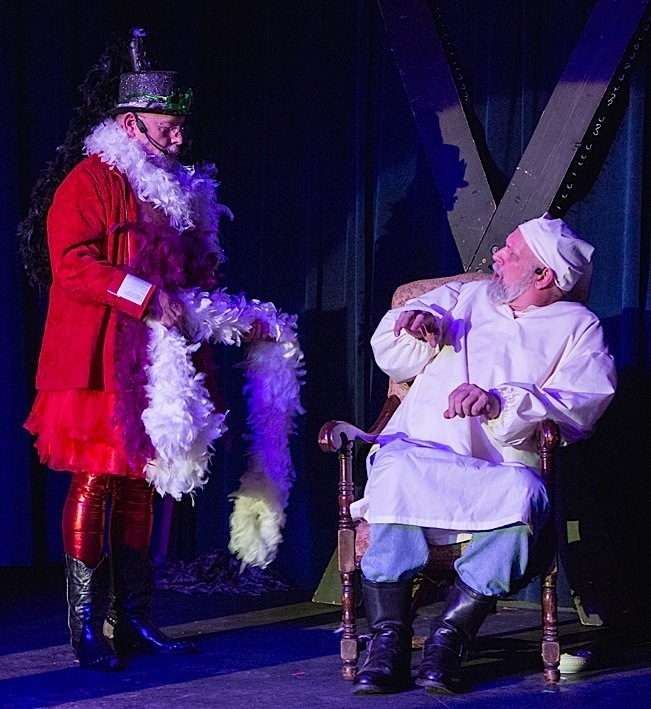 Marley’s ghost (played by Sam Carlisle, left) visits Ebenezer Scrooge (played by David Coral). Photo by Everett Allen Photography. Scrooge to revisit his youth. Photo by Everett Allen Photography. The Queens from Queensland decorating their tree. Photo by Steve Lenius. the toys. Photo by Steve Lenius. 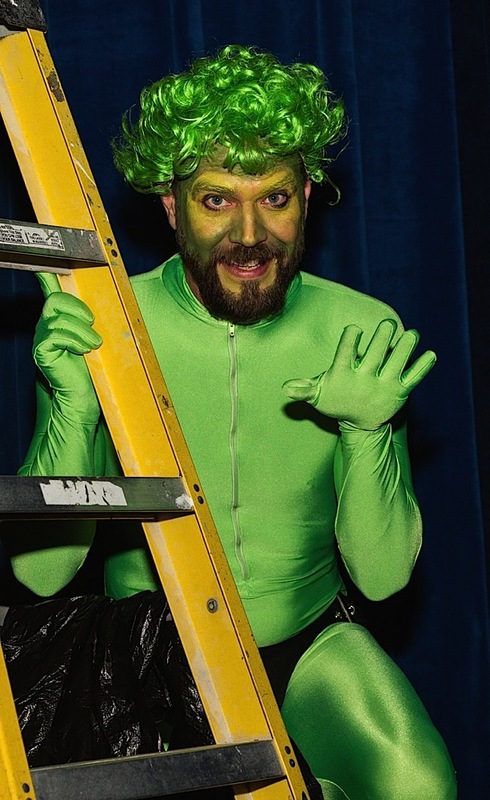 Karri Plowman as The Grinch. Photo by Everett Allen Photography. of “The Waltz of the Flowers.” Photo by Everett Allen Photography. of Minneapolis. Photo by Steve Lenius. The Atons of Minneapolis corps de ballet. Photo by Everett Allen Photography.